Turns out that the Pixel successor which was codenamed ‘Muskie’ did not die, but reborn in another smartphone we now know as the HTC U11+. According to a source close to this information, the HTC U11+ was originally intended to be the Pixel 2 XL, but Google decided to throw out the Taiwanese’s phone design out the window and accept what LG brought to the table. According to The Verge, it has confirmed with a source familiar with HTC and Google that the U11+ was going to be the Pixel 2 XL, but the project was scrapped altogether. Come to think of it, there are a lot of similarities if we hold both devices together. While the original form of the flagship was not what Google wanted it to be, it was originally going to be used for the handset that would eventually find its way as the successor to the original Pixel XL. 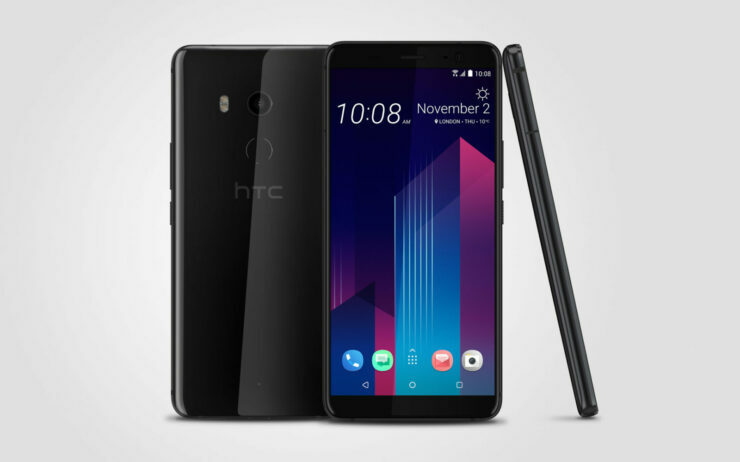 Come to think of it, both the HTC U11+ and Pixel 2 XL feature a 6-inch display with an 18:9 aspect ratio. Part of why Google could have wanted to take out HTC’s idea was because the flagship was going to sport a Super LCD6 display instead of an OLED screen. However, you will notice that the newly announced flagship is HDR10 compliant and also comes with 30 percent better sound quality thanks to BoomSound. The resolution of both phones measures at 2880 x 1440, thus providing more details that HTC’s flagship model is the scrapped ‘Muskie’ project. If the absence of the headphone jack is not going to be put in the evidence shelf then we don’t know what will be. From a specifications ‘point of view’ the HTC U11+ is a phone that we feel has been done right this after several attempts but we’ll find out what happens when the reviews start to pour through.